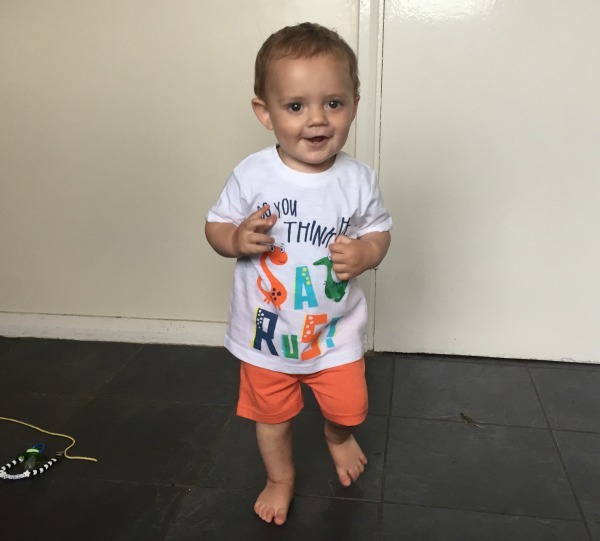 I decided to pick out a few bits for Joseph from their baby ranges and opted to show off just what you could buy for summer on a budget. I think buying on a budget is important, especially at the young ages as, if it's not food that ends up all over them, then it will most definitely be an explosive nappy! So with this in mind, I got to browsing their site. Firstly, the items that caught my eye were the pack of 3 shorts. Priced at only £11, I thought this was a steal for three pairs. One in orange, one in blue and one with a multi coloured stripe print. The shorts are made from soft cotton/poly fabrics to feel kind on young skin and are finished with an elasticated waist for all day comfort. 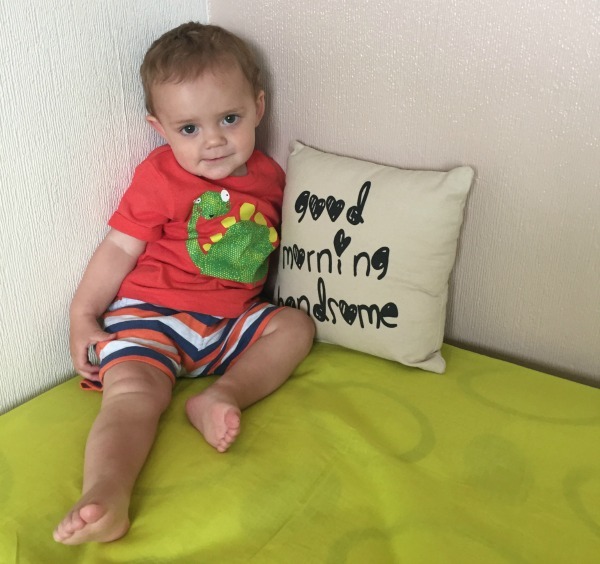 Now that Joseph had three pairs of shorts, I got to finding matching boys t-shirts for each pair, so then he'd have outfits all ready to be worn for when the sun arrives again. For the multi-coloured shorts, I picked out the orange pigment to them and matched it with a cute dinosaur t-shirt. The t-shirt is perfect with the shirts as the colours from it, and the printed dinosaur at the front, co-ordinate and look like they were made to go together. To pair with the orange shorts, I found a little more difficult. I didn't want to do a full on match, looking all-in-one orange and so opted for this cute white t-shirt that I think works quite well. Again, with a dinosaur theme (there seems to be a dinosaur theme at the moment), the words 'do you think he saurus' on the front. I had picked out orange bits on the print which feeds in well with the shorts without looking too full on. I think blue and green work wonderfully together and so the last pair of shorts, the blue ones, I pair with this super cute graphic t-shirt. Depicting a fun snorkel design with little marine creatures, this green t-shirt is so pretty and so bright, and just so summery. All of the Mothercare t-shirts are made from super soft cotton and have popper openings on the collar to make for easy dressing. I also like how they wash so well, even after a few washes they are still in shape and come out as bright and as bold as they were when new. To finalise, I just had to have these khaki slip on canvas baby shoes for my littlest boy. These great value canvas shoes slip easily on and off and are easy to mix and match with everyday outfits. I thought they just looked so right with the snorkelling combo. 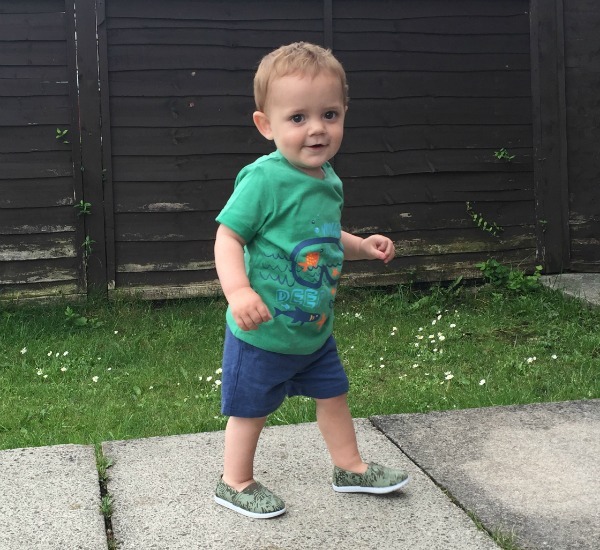 These shoes have an elasticated panel for easy dressing and a comfy fit and have slip resistant soles to help these new walkers on their feet. I mean, I am obviously biased, but Joseph just looks so cute in these outfits and is totes' ready for summer fun in the sun now. 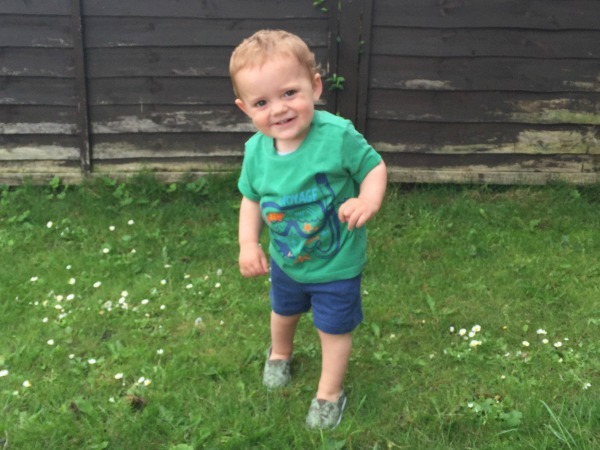 Lets just hope the nice weather comes back around sometime soon so he can don his new threads from Mothercare. Well you've got a gorgeous little model there, love all the colours! So cute just love the pieces u have chosen. Very cute outfits:) Your son is quite a little model! 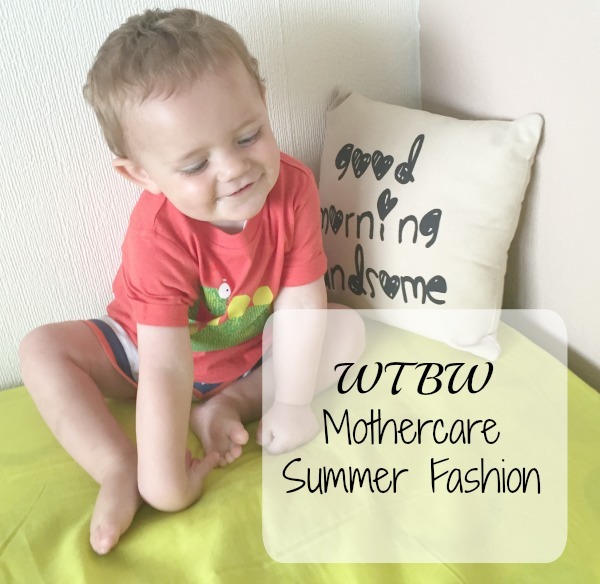 I love Mothercare clothes, such great quality, cute designs and always such great colours which last through the many washes they need!